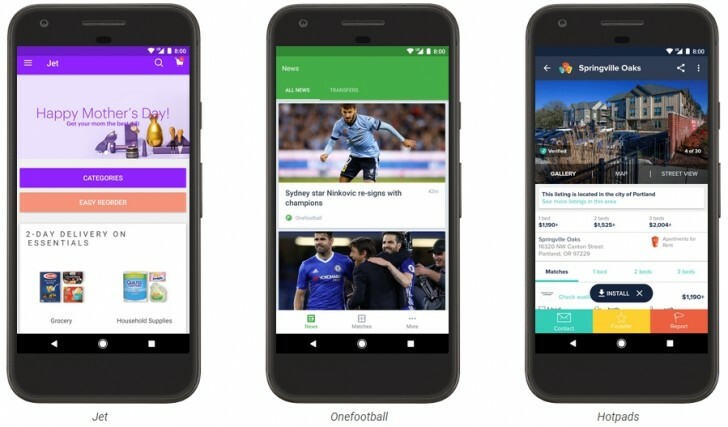 After first unveiling the Android Instant Apps platform at Google I/O 2016, the web giant is finally taking steps to introduce the new initiative to the public. If you hit up the source link, you will land on a list of app within the Play Store that already support the technology and thus have a new "Try Now" button. 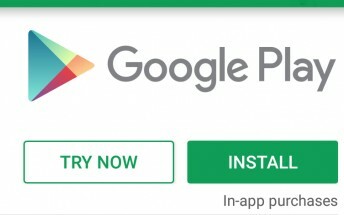 Pressing it actually launches the particular app, or at least parts of it instantly, without having to go through a traditional install process. To participate in the neat little public demonstration of one aspect of Instant Apps technology you do have to be running a fairly recent Android OS: Android 5.0 (API level 21) through Android 8.0 (API level 26). Support for the feature also needs to be enabled from the Google settings interface on the device. Lastly, there might be some market limitations or a staged roll-out in place, so, if you only see the familiar old "Install" button after going through all the steps, you should try a different device or wait a bit, since this is only the beginning. We are likely to see a lot more Instant Apps in the future, especially since adapting an existing app to use the technology is a fairly easy process and the end result has massive potential benefits. If you are not familiar with the technology, you can sort of view Instant Apps as a way to "stream" Android applications. 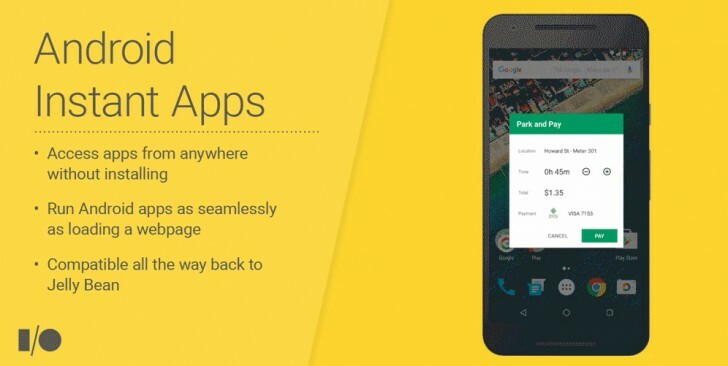 The idea is that you don't necessarily need to store an app locally on your device for it to work. 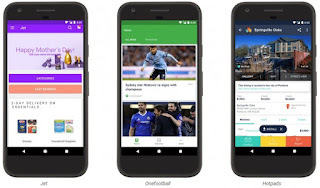 Instead, Google is experimenting with a much more flexible design model, where a user would only be presented with parts of an app that are relevant to his current activity. 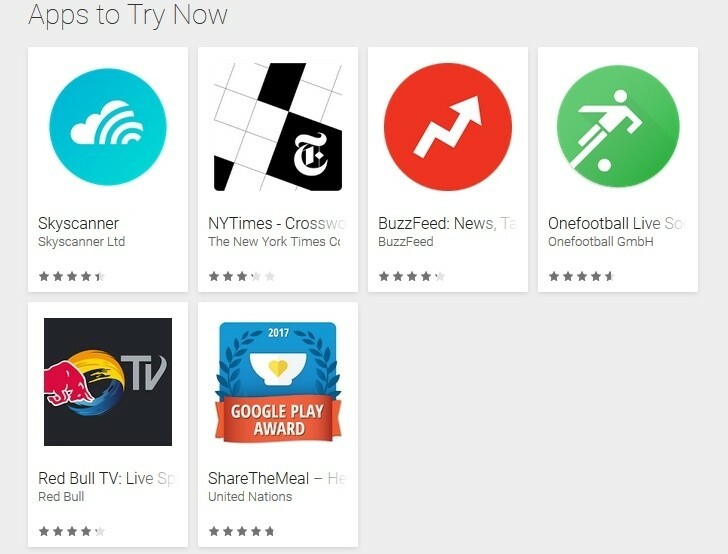 In this early Play Store test scenario the "Try Now" button only pulls in certain segments of the app or game, sort of like a "lite" version. Then, as you progress in its functionality, you can gradually pull more parts of it in, as needed. Alternatively, this could be used to create efficient "demo" versions with limited functionality. Or a better way to refund purchases you reconsider, without worrying about app resources left on the client device and potential hacking attacks. In a broader sense, Instant apps can really help merge the line between interactive web content and efficient native applications. Instant apps and more specifically, the right interfaces and components can be called upon from any URL, including search results, social media, messaging and various deep links. So, you could be browsing an article, then click on a link to an embedded social media post and have it actually open in a native Android app environment, with all its extending functionality, without ever installing anything. Or even click on a link to instantly start up a full Android game and join a multiplayer session, all with zero extra setup steps. The Instant Apps platform holds great promise, so we definitely encourage you to give it a try and share your thoughts in the comments.